The Circular Glow quilt features a removable center using "sticky for fabric Velcro". 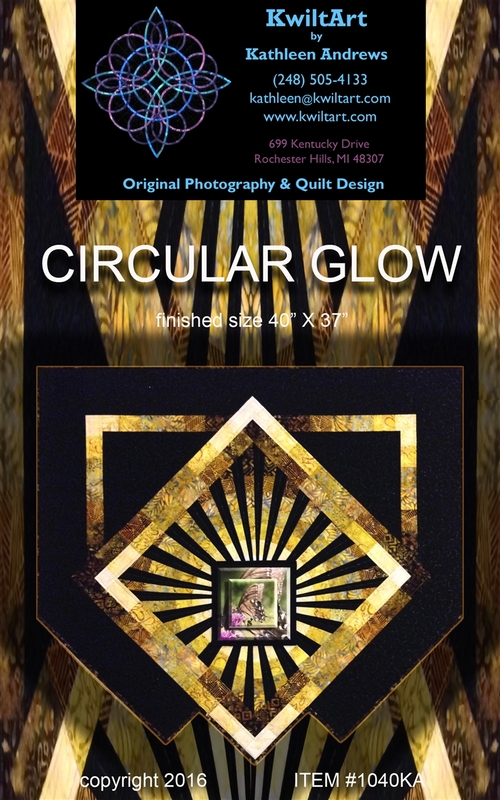 The pattern front shows a photo printed on fabric and mounted on fusible foam for the center, but you could use anything you like. You will also create the illusion of circles without curved piecing. Strip piecing and freezer paper templates are used. Confident Beginner/Intermediate Finished size 46" X 37"